If I have to be back for school pick up, my driving radius is typically pretty reasonable, but when my little sidekick is along for the ride, anything within a two hour drive is doable as a day trip for me. So when we had the opportunity for a mother-daughter girls' day out this week, I picked the Cotswolds. I settled on our starting point of Bourton-on-the-Water because I knew my daughter, a huge car fanatic, would love the Cotswolds Motoring Museum. After securing something of interest for her, I knew there would also be something for me to enjoy. Right I was. Bourton was surprisingly still pretty overrun with tourists (the curse of the Cotswolds), so after a quick walk through town post-museum visit and a picnic lunch along the water, we headed for quieter places. 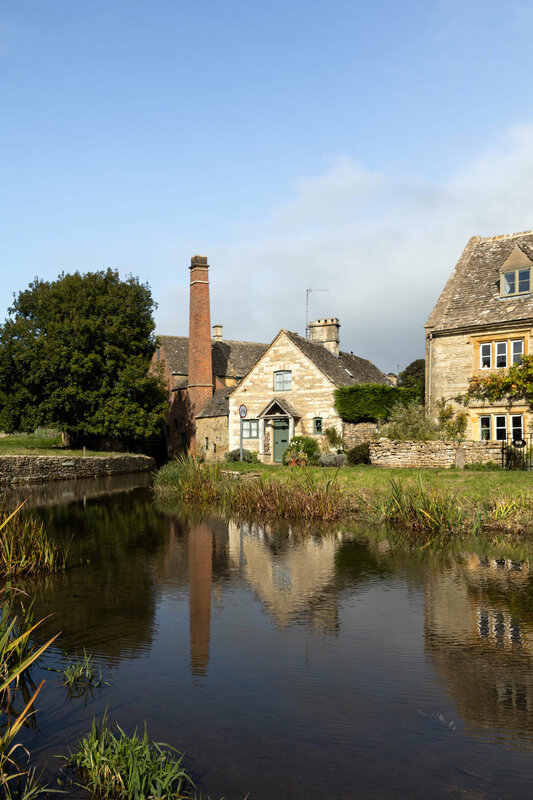 Collectively known as "The Slaughters", Lower Slaughter and Upper Slaughter are a short distance from the more touristy Bourton-on-the-Water, but they couldn't be more different. There aren't loads of shops or restaurants; rather, just tranquil scenery and charming homes. 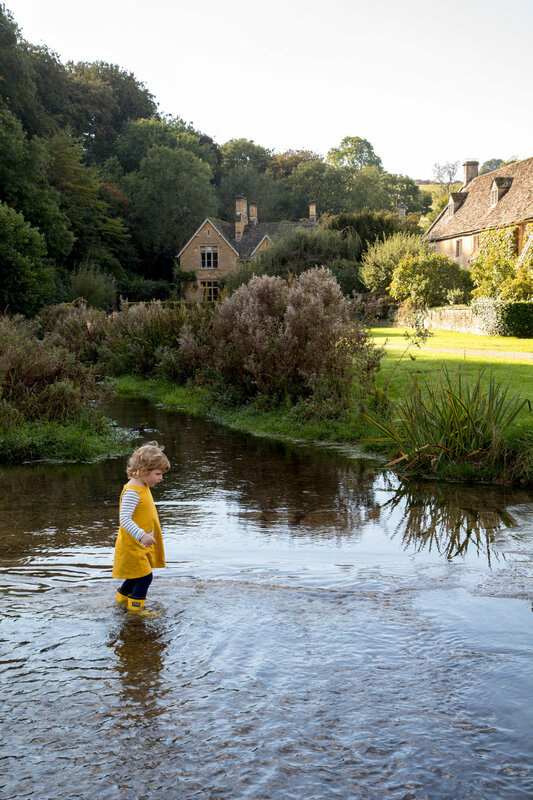 The tiny River Eye runs through the villages and is a particular draw in Lower Slaughter, with sweet little bridges (where sweet little girls are made to pose) and a wonderful mill that serves as its anchor. A mill was recorded in the Domesday Book on this site in the 11th Century. 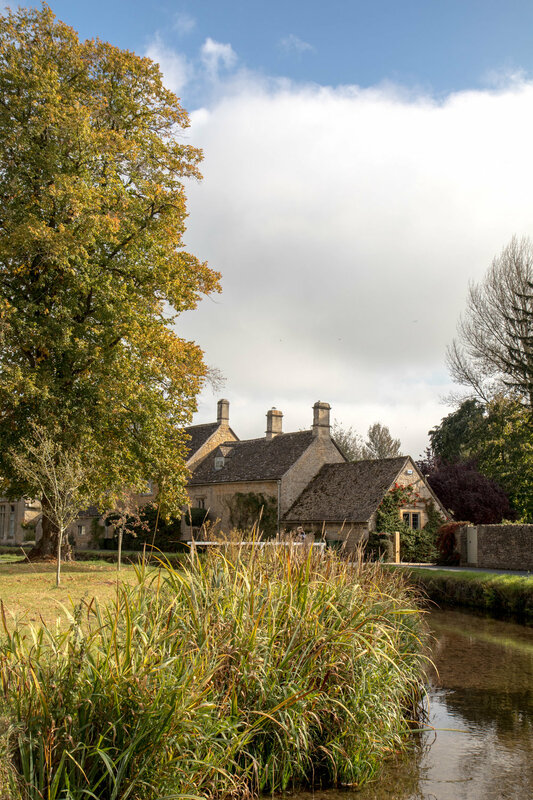 After soaking up the Lower Slaughter goodness, we moved on to Upper Slaughter, where the charm and beauty continued to dazzle us. Upon seeing the shallow portion of the river, I knew exactly what my daughter was dying to do. We dashed back to the car for her wellies and spent the rest of our day wading in the water. Something for everyone, indeed.